Objective: To evaluate the union rate of subtalar arthrodesis in smokers and nonsmokers and effect of the use of different types of autologous bone grafts. 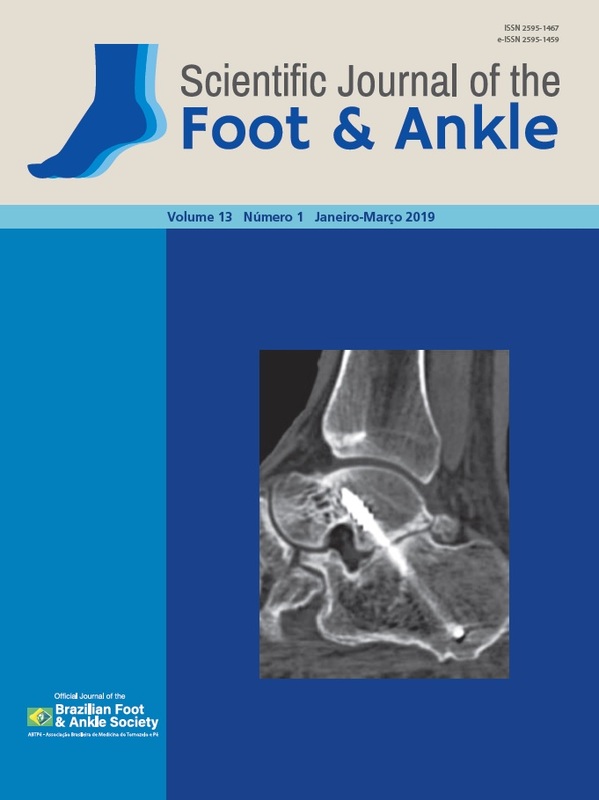 Methods: This was a retrospective study with radiological evaluation of patients with subtalar arthrosis who underwent primary arthrodesis at a reference hospital between January 2008 and December 2014. Patients with a minimum follow-up period of 12 months were included and were divided into smokers and nonsmokers with or without autologous bone grafting. Results: In total, 235 patients with a mean age of 47 years (range: 19-74 years) were evaluated, among whom 90 (40%) were smokers and 141 (60%) were nonsmokers. In 221 (94%) cases, the indication for arthrodesis was due to sequelae of calcaneal fractures. A bone graft was used in 65 (27.7%) patients. The overall union rate was 85.4%, and 14.6% of the patients progressed to pseudoarthrosis. A statistically significant difference was found in the nonunion rate in smokers (p-value=0.015 by chi-square test), especially in those who did not receive a bone graft (p-value=0.014 by chi-square test). However, no significant difference was found between smokers who received a bone graft and those who did not (p-value=0.072 by chi-square test). The union rate was related to the donor site, with pseudoarthrosis in 33.3% of surgeries with an autologous calcaneal bone graft (p-value=0.011). Conclusion: Smoking increased the likelihood of pseudoarthrosis in subtalar arthrodesis by 2.5-fold, and pseudoarthrosis is related to the autologous bone graft donor site. Level of Evidence III; Therapeutic studies; Comparative Retrospective Study.